Oxford University Press, USA, 9780195163438, 402pp. Here is the life of a high-tech industry giant. 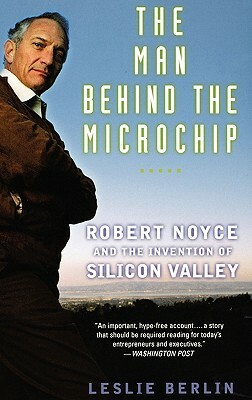 The co-founder of Fairchild Semiconductor and Intel, Noyce co-invented the integrated circuit, the electronic heart of every modern computer, automobile, cellular telephone, advanced weapon, and video game. With access to never-before-seen documents, Berlin paints a fascinating portrait of Noyce: an ambitious and intensely competitive multimillionaire who exuded a "just folks" sort of charm, a Midwestern preacher's son who rejected organized religion but would counsel his employees to "go off and do something wonderful," a man who never looked back and sometimes paid a price for it. In addition, this vivid narrative sheds light on Noyce's friends and associates, including some of the best-known managers, venture capitalists, and creative minds in Silicon Valley. Berlin draws upon interviews with dozens of key players in modern American business--including Andy Grove, Steve Jobs, Gordon Moore, and Warren Buffett; their recollections of Noyce give readers a privileged, first-hand look inside the dynamic world of high-tech entrepreneurship. Leslie Berlin is Project Historian for the Silicon Valley Archives at Stanford University. For more information, please visit http: //themanbehindthemicrochip.com.